Manila Water Metrology Center receives world-class validation | Manila Water Company, Inc.
Ronan Abear (rightmost), Meter Management Head of Manila Water, led the interlaboratory comparison of the Metrology Center with Sensus Laboratories in Germany. Manila Water Company, Inc.’s Metrology Center (MWMC) recently conducted an interlaboratory comparison with Sensus Laboratories in Germany to comply with the requirement of ISO/IEC 17025 accreditation, which necessitates MWMC to validate laboratory-developed methods. The three laboratories that compared calibration methods were Sensus GmbH Ludwigshafen, Sensus GmbH Hannover, and the Manila Water Metrology Center led by Meter Management Department Head and Technical Manager Ronan Abear and Metrology Center Manager Ricardo Santos, Jr. All participating laboratories used their own calibration procedures with the same reference conditions for 15mm and 50mm water meters. The results of the interlaboratory comparison activity showed that MWMC’s laboratory-developed calibration methods are compatible with the reference laboratory, Sensus Laboratories, an ISO/IEC 17025 Accredited Laboratory by Deutsche Akkreditierungsstelle GmbH (DAkkS). DAkkS is the national accreditation body for the Federal Republic of Germany. “To have our laboratory compatible and comparable to a laboratory like Sensus gives us confidence in ensuring that we provide accurate test results to our customers, as well as accurate water meters,” said Ronan Abear. 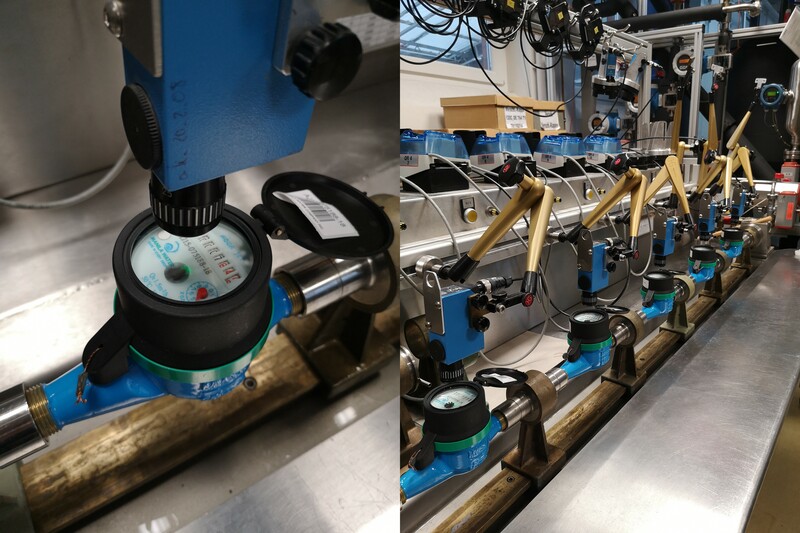 “The interlaboratory comparison activity not only validates our measuring results with a reference laboratory, but it also gave us the opportunity to benchmark with metrology and water meter calibration experts in Europe. Known for manufacturing water meters and with over 80 million metering devices installed all over the world, Sensus has the most comprehensive metrology research ensuring high flow measurement accuracy of their products,” he added. The result of the interlaboratory comparison is a testament to Manila Water Operations' commitment to operational excellence and adherence to international standards on quality. Apart from the laboratory validation, the Metrology Center also holds a PNS ISO/IEC 17025:2005 certification from the Philippine Accreditation Bureau (PAB) under the Department of Trade and Industry (DTI).